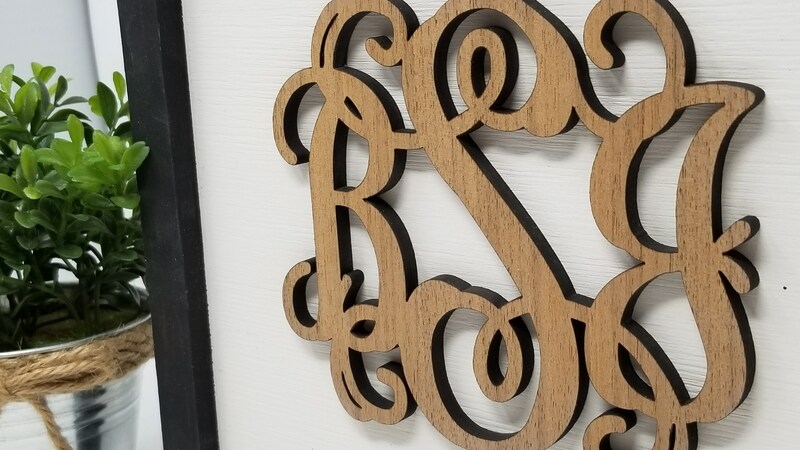 This multi-dimensional square sign features a piece of pine wood painted white, then we laser cut your monogram out of wood and attach it to the top, finishing with a farmhouse frame in the color you choose. 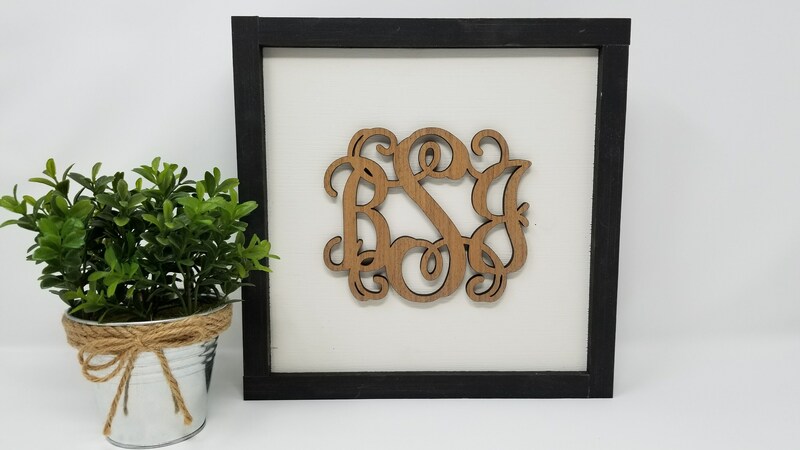 Colors shown are a walnut monogram and black for the frame. 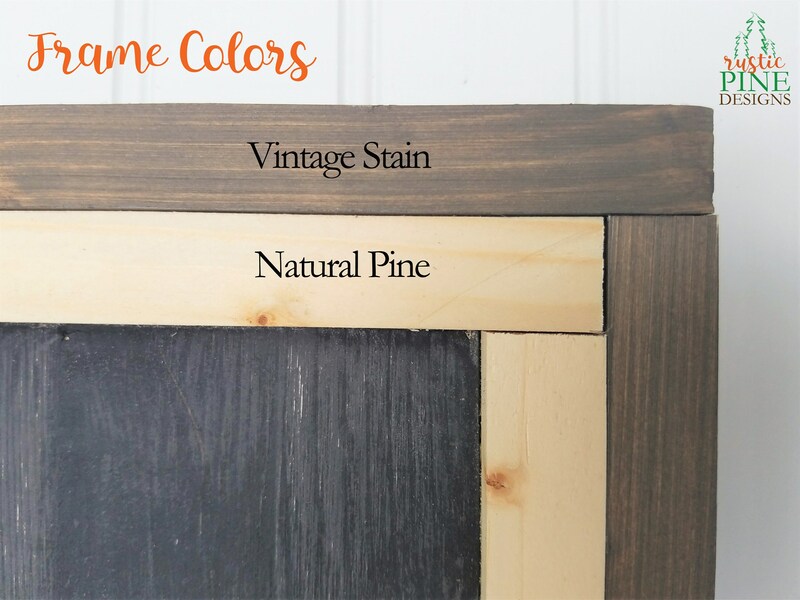 Sign measures 10.75"H x 10.75"W and will easily sit on a shelf. Need a larger size? Or a wedding guestbook? Just ask and we'll love to help! Please allow 2 weeks to create and ship your tile. We’ll send tracking information once it ships.